The recent movie – Lucy invites a Paradigm shift. The movie dwells on some neuroscientifcally bewildering possibilities. The movie relies on the fact that humans use 10% of the capacity of their brains. The movie then follows the character “Lucy” who progressively unlocks 100% of her brain capacity. Here I explore some of the mind-blowing concepts from the movie – Do we use 10% of our brain? Is it possible to artificially induce the hidden talents of the brain? Does the brain have the ability to manipulate matter? As a neuroscientist, the questions I get asked most often is – do we use 10% of our brain? The myth arises from ectomy experiments on animals that showed that surgical removal of various parts of the brain only partially compromises the animal’s behavior. One of the most famous of these anecdotes is the American Crow Bar case. In 1850 Phineas P. Gage had a construction accident, where an iron rod passed through his skull, extensively damaging the left frontal lobe. 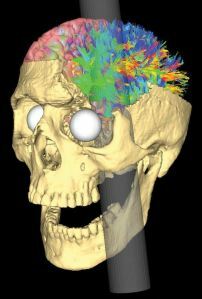 Not only did Gage survive this accident, unconfirmed reports suggest that he was able to regain enough cognitive adaptation to return to daily activity. Given that the brain is able to reconfigure itself to accommodate for even the most unimaginable of injuries, does it mean that we only need a small part of our brain to function in daily life? To find out, lets explore the current advancements in neuroimaging research. We can now observe brain activation in realtime. The Gazzaley Lab in San Francisco has combined 3 leading neuroimaging techniques – Electroencephalography (EEG) structural MRI, and Diffusion Tensor Imaging (DTI) to simulate brain function in realtime. In the video below, the translucent brain regions (gray matter) are reconstructed from sMRI. The orange “network” of axons (white matter) connecting the various brain regions is mapped using DTI and the EEG is color coded to show the bandwidth of brain activity – for example, red for alpha, blue for beta and green for gamma activity as it travels through the orange axons. It is immediately obvious that the brain is activated as a network of clusters. Each cluster is of a specific frequency (alpha, beta etc) and that multiple frequencies occur simultaneously (red, blue green, activation patterns). This video clearly shows that although we do not use our whole brain simultaneously, we are using specific brain networks at any point in time. Therefore the myth that we only use 10% of our brain can be reframed as – only a certain percentage of our brain is active at any point in time. The brain is never fully activated. This is because, the brain at rest (when the brain is idle, I’m not talking about meditation here) uses 20% of body’s energy reserves even though it only weighs 2% of the body mass. The brain is a very expensive structure to run and maintain. The active regions of the resting brain are known as the Default Mode Network (DMN). These regions are involved in filtering out unnecessary information so that we do not get bombarded by overwhelming sensory stimulation. The DMN is also involved in random “Self-Talk”. The resting state activity of the brain is similar to the resting heart rate (60-100bpm). The heart is not designed to work at maximum capacity for extended periods of time. Similarly the brain is not designed to be firing in all cylinders continuously. When the brain is functioning above the resting activity – the result is usually anxiety and mental fatigue because the energy expenditure by the brain at such high levels is not sustainable by the body. Similarly, deactivation of brain networks results in sedated states such as depression. So what does it mean to access 100% of our brains capacity? The brain houses hidden talents that can be unlocked artificially. The Centre of Mind research institute has shown that when Transcranial Magnetic Stimulation (TMS) is applied to the left temporal lobe, ordinary human beings can temporally gain access to autistic savant like skills. 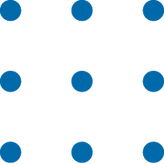 For example, the 9-dot challenge shown on the right is almost impossible for the vast majority of the general population to solve. The objective is to connect all 9 dots with 4 straight lines without lifting your pen of the page. However, when TMS is applied to the brain, the same individuals are able to solve this puzzle with relative ease. It is fascinating how a simple activation of the left temporal lobe is able to stimulate creativity! Are there ways of accessing these altered states of mental performance without artificial stimulations? 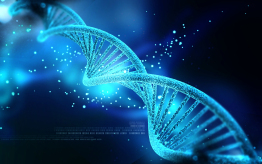 The Flow Genome Project is an attempt to Hack the optimal state of consciousness. The interest is not so much to use 100% of our cognitive capacity but to shift our perception to merge with reality. Our current state of consciousness disconnects us from reality by creating an illusionary sense of self. As described in the movie, the prevailing mindset only holds, with respect to time. We segment reality into measurable units to avoid comprehending what we cannot understand. However, as described in my previous post, our brains are genetically wired to perceive reality within the constraints of time. We often experience timelessness in moments of heightened awareness such as extreme sports or romance. In these moments of elation we are able to see infinitely more or receive spontaneous insights without ever having learnt it. The flow state is scratching the surface of the human potential. When our linearized thought patterns are liberated from the trap of time, the human intelligence has the intuitive ability to align with the incomprehensible. We suddenly enter the arena of possibility – chance encounters, insights, innovations, accelerated learning, clarity of vision and a sense of purpose greater than ourselves. Simply because we are unable to scientifically validate what we cannot measure does not give reason to deny the existence of an intelligence beyond our cognitive threshold. Paradigm shifts are met with great resistance by the mentality of the mainstream. For example, the Earth is flat. The existence of DNA. Biological Evolution. Plate Tectonics. To name a few. There are known unknowns and there are unknown unknowns. Our defensiveness to what we don’t know we don’t know is one of the biggest limitation to the human potential. What if uncertainty was met with curiosity? What if there was no overarching truth but simply a constantly evolving state of perception? What if we let go of all the constructs that we have been so conditioned to believe? What if we could flirt with reality? The “Lucy” movie concludes with the entire knowledge of the universe – past, present and future uploaded onto a USB disk. What surprises are stored on that disk? What if the miracle of life was not in knowing all the answers but, in falling in love with the questions?